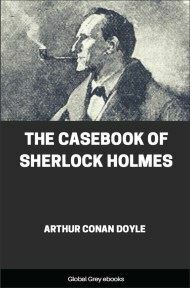 The Case-Book of Sherlock Holmes is the final set of twelve Sherlock Holmes short stories (56 total) by Arthur Conan Doyle first published in the Strand Magazine between October 1921 and April 1927. It includes 12 stories: The Adventure Of The Mazarin Stone; The Problem Of Thor Bridge; The Adventure Of The Creeping Man; The Adventure Of The Sussex Vampire; The Adventure Of The Three Garridebs; The Adventure Of The Illustrious Client; The Adventure Of The Blanched Soldier; The Adventure Of The Retired Colourman; The Adventure Of The Three Gables; The Adventure Of The Lion's Mane; The Adventure Of The Veiled Lodger; and, The Adventure Of Shoscombe Old Place (the last Sherlock Holmes story written by Arthur Conan Doyle to be published). "Yes, sir. They must get it back, sir. Why, we had the Prime Minister and the Home Secretary both sitting on that very sofa. 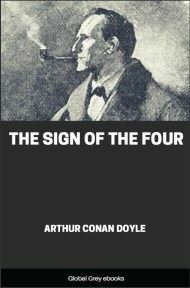 Mr. Holmes was very nice to them. He soon put them at their ease and promised he would do all he could. Then there is Lord Cantlemere--"